Times are tough. It’s not just business as usual. Economic Developers ought to be aware of the complicated “goings on” in the macro/global economy. 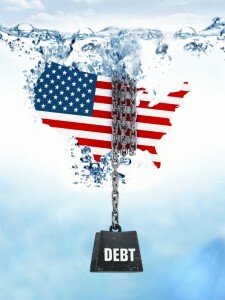 All that blather about debt, finance systems, derivatives, deficits, Europe, Greece, China, exchange rates, inflation and the like wreak havoc on your local and state economies. Ignore them at your peril! The United States and the global economy are working their way back from the most crippling finance collapse since the Great Depression. This is not a normal business cycle recession. Our finance system collapsed, crushed by debt, irrational exuberance, poorly understood and mis-priced financial innovations, and a cattle stampede of downright stupid, selfish decisions by bankers and consumers alike. Equally important, there may be significant structural shifts in the economic power between heretofore undeveloped emerging economies and the developed economies. In an “Age of De-leveraging”, time and healing pass slowly. The articles and reviews included under this theme relate macro economic and global issues to local economic development. Some of them will more explain what is going on out there so an economic developer can make sense of how to act locally. In other instances, the articles and reviews will directly offer insights into how these larger economic forces directly affect the strategies and tools used by economic developers. Welcome to The Macro Economic Environment: The New Normal. Our discussion on the New Normal and the Post-Financial Crisis centers chiefly around two important publications. The New Normal label was developed by Mohamed El-Erian, CEO of America’s largest asset manager, PIMCO. The second conceptual position is drawn from Reinhart & Rogoff’s, This Time is Different. El-Erian put his concept together in 2008-2009 period and Reinhart and Rogoff in early 2010. They have been mostly right thus far into 2012.